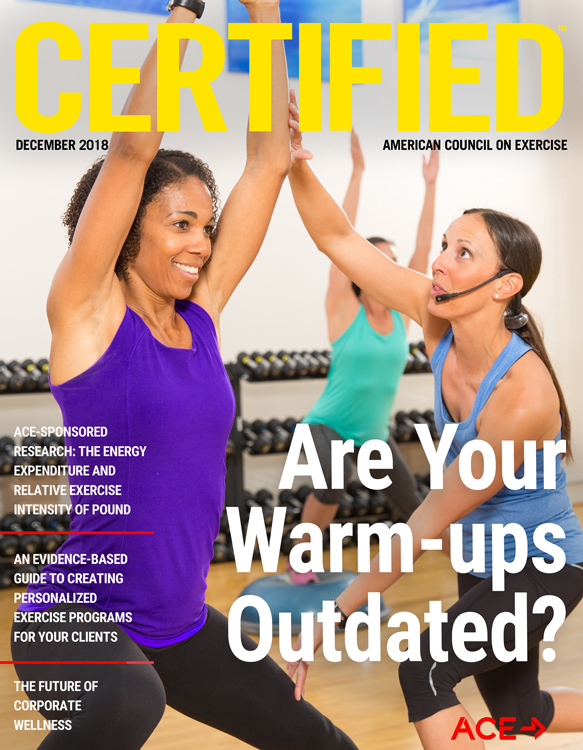 ACE - Certified™: December 2018 - Have Your Group Fitness Warm-ups Advanced With the Times? ACE-SPONSORED RESEARCH: What Is the Best Back Exercise? 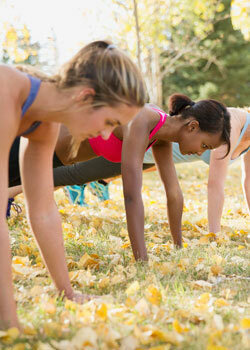 Like all aspects of fitness, warm-ups in group fitness classes have evolved. Although some instructors still prefer a traditional style that features mini choreography patterns, this approach is no longer suitable for every format. While warming up is as important as it’s ever been to prepare the body mentally and physically for exercise, how we do it in group fitness has shifted over the years. For example, we’ve long since swapped static stretching in the warm-up for dynamic range-of-motion movements. Read on to learn more about other noteworthy updates to this essential workout component. There are as many ways to warm up as there are group formats. However, our choices haven’t always been so plentiful. 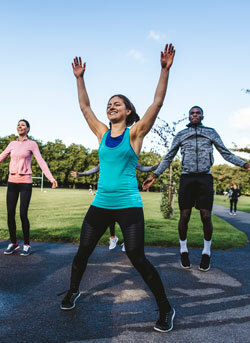 Warm-up exercises today also tend to include “more specific and focused movement prep,” says Erin Phelan, M.A., a group fitness instructor at Equinox and a health coach and personal trainer in Toronto, Ontario. For example, if you plan to teach deadlifts or squats with dumbbells, you might use the warm-up to first rehearse the associated techniques without resistance. But many instructors are also thinking beyond the “lite” version of whatever exercises they plan to introduce in the main workout. Warm-ups have become more integrated overall. Instructors today talk a lot about functional and multiplanar exercises—terms that haven’t always been part of the group-fitness vernacular, even if the movements themselves were being demonstrated in class. The warm-up is a perfect time to help participants practice coordination skills before the exercises become more advanced or complex. “Various planes are a great way to introduce movement used later in class and to enhance overall coordination and muscle memory,” says Harold Sanco, a presenter, creator of Step Strong and instructor at Sport & Health Club and Bodysmith Gym in Washington, D.C. In fact, being mindful about hitting each plane of motion (or multiple planes per exercise) is a quick and easy method for instructors to improve their warm-ups, ensuring the most well-rounded approach possible. See the shaded box below for warm-up-worthy exercises that correspond to the different planes of motion. The body can be divided into three planes called sagittal, frontal and transverse; these categories help us assess or describe motion. Assuming that participants in any type of fitness class will experience motion in all three planes, the warm-up should also incorporate these planes of motion. Here are examples of how exercises commonly included in a warm-up correspond to the three planes of motion. Keep in mind that it’s possible to cross two or more planes in one exercise, such as lunges (sagittal) with torso rotation (transverse). Examples of Movements in the Sagittal Plane: Flexion and extension exercises that run parallel to the sagittal plane, such as forward lunges, reverse lunges, squats, hamstring curls, knee lifts, step-ups, biceps curls, deltoid front raises, triceps extensions, narrow-grip rows. Examples of Movements in the Frontal Plane: Lateral or side exercises that move toward or away from the midline of the body, such as side lunges, jumping jacks, hip abduction/adduction, side steps, lateral torso bends, lateral or overhead deltoid raises. Examples of Movements in the Transverse Plane: Exercises that rotate a joint and/or occur parallel to a horizontal plane, such as wood chops, torso rotations, rotator cuff external/internal rotation, push-ups, reverse flys. The type of warm-up you might put participants through depends heavily on class format, of course. These days, nothing’s one-size-fits-all. 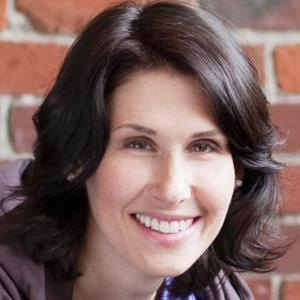 “When planning a warm-up, I first look at the modality of the class being taught,” says Dayer, a master trainer for both Schwinn Indoor Cycling and Barre Above. “If I’m warming up a barre class, I’m not going to include high knees or jumping jacks because those aren’t the movement patterns I want to prepare them for.” Instead, variations on plies, squats and lunges would be more appropriate. Naturally, your blueprint for warming up a muscle-conditioning class would be different from your blueprint for warming up a cardio class. As warm-ups morph to match current cardio trends—such as HIIT, Tabata and boot camps—choreographed class beginnings are less of a “thing” than in the past. However, if the workout itself is quite choreographed, the warm-up should reflect that. 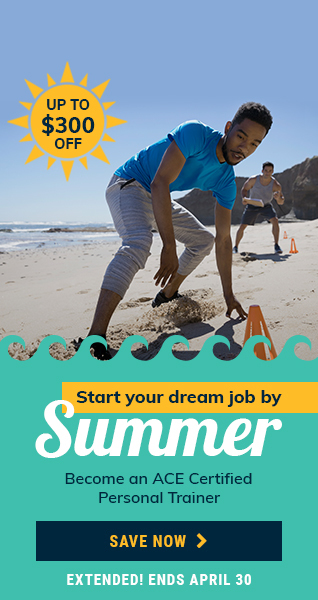 For some classes—Zumba, choreographed step and dance—a choreographed warm-up would be the preferred approach so participants get a feel for the footwork and mental challenge ahead. In addition to format specificity, Sanco says “your warm-up should complement the level of your class” and even the class time allotted. For example, advanced participants might be able to handle a fairly dynamic, fast-paced warm-up. The same goes for those in a short, 30-minute workout, which is another current trend. On the other hand, beginners would likely appreciate a longer, gentler lead-in. Warming up is good for the body to promote better physical performance and reduce the risk of injury, but it also helps participants mentally prep for the workout ahead. The most current warm-ups take this into account. After all, instructors already know what’s planned for the workout, but participants might not. “The brain needs a warm-up, too,” says Phelan. Think of the warm-up, then, as a preview, providing a first look at upcoming movement patterns, sequences and exertion. With that in mind, Dayer breaks down and regresses key exercises and concepts when warming up. This way, participants get a better idea of what’s expected during class. Strategizing every warm-up, as Dayer describes, is important because a common mistake instructors make is introducing too much intensity or complexity in the first few minutes of class. Students might not be physically or mentally ready for it. Warming up participants at the correct level—one that feels scaled back from the workout itself—is a skill instructors can sharpen with practice. Finally, regardless of whether the class is choreographed cardio, muscle conditioning, interval training or something in between, your programming in those first few minutes of class must make sense. “The warm-up should flow freely,” says Phelan. “Moving from one exercise to another seamlessly is important.” As in the workout, every exercise should blend logically into the next. Even though the style and delivery of group-fitness warms-ups have advanced over the years, their fundamental purpose remains the same. “What hasn't changed is the need for a warm-up to get the muscles warm and ready to work, and get your participants revved for the workout,” says Phelan. 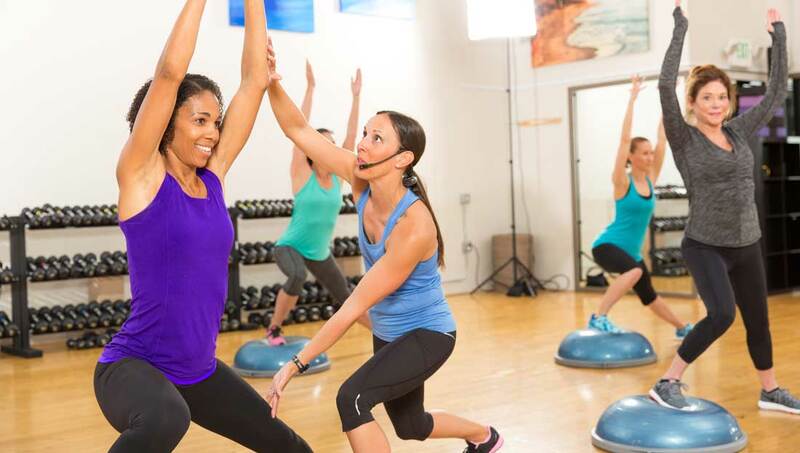 The more prepped participants feel—in mind and body— the more they’ll enjoy your class. The warm-up is a perfect time to help participants ___________________ before the exercises become more advanced or complex. Strategizing every warm-up is important because a common mistake instructors make is _______________________.